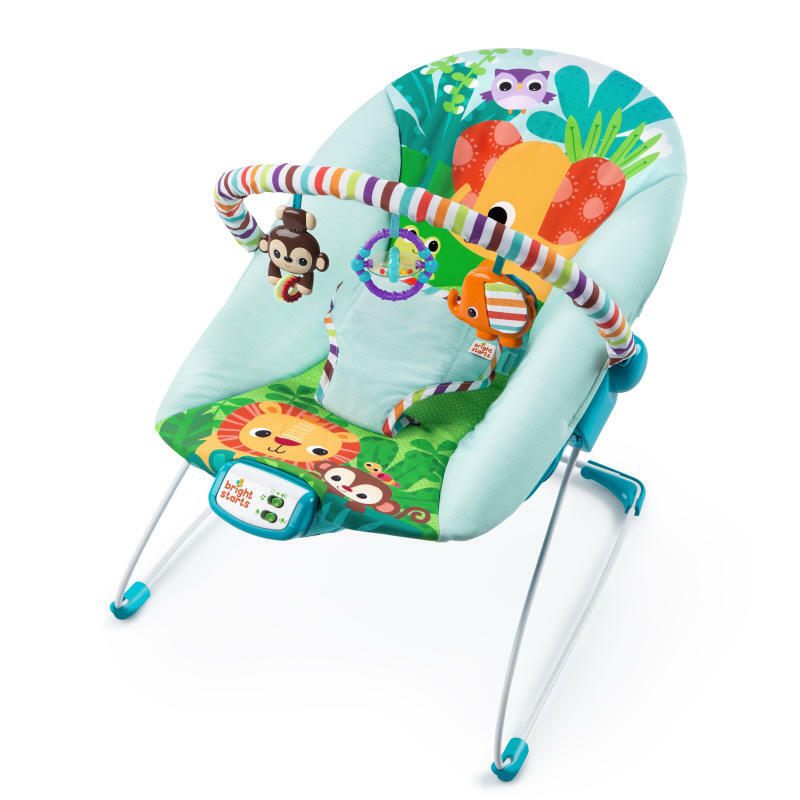 The Bright Starts™ Safari Smiles™ Bouncer will have your little one smiling in no time. The cradling seat provides the perfect amount of comfort support, while baby can enjoy soothing vibrations and colorful, engaging characters and patterns. Entertain baby with 7 melodies, that automatically shut-off after 15 minutes. The toy bar removes easily with one hand and amuses baby with 3 cheerful toys. Dimension (in) 19" x 21" x 16.625"